After five days of agonising pain, Eliza Bradley says it was a young medical student who delivered the diagnosis that saved her life. 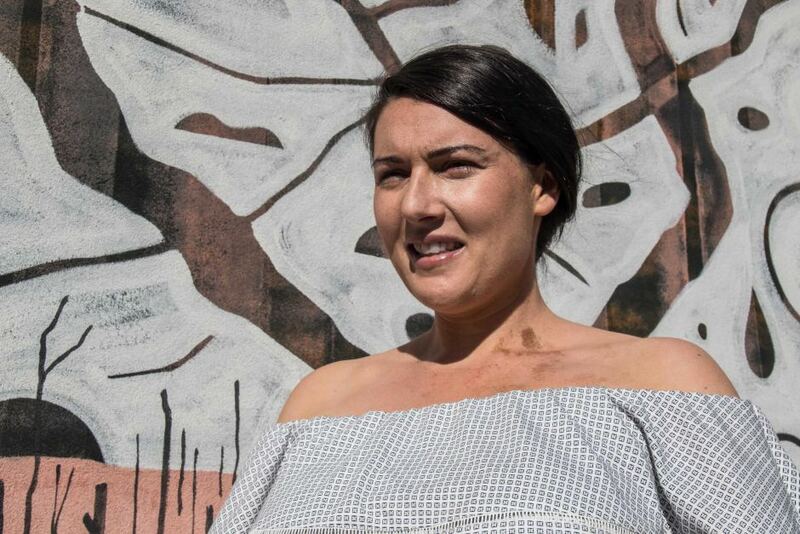 The 30-year-old Kalgoorlie woman had been admitted to Sir Charles Gairdner Hospital in Perth in September 2016, after succumbing to what appeared to be a mystery infection. In the space of hours, the mine worker had gone from enjoying a barbecue with friends to having those same friends rush her to hospital, to waking up in intensive care and being asked if she was an organ donor. "I was in there for five days waiting to be prepped for surgery, but they hadn't settled on a diagnosis," Ms Bradley said. Doctors cycled through everything from "female issues" to sexually transmitted diseases. "A lot of what they were proposing, I could very confidently verify it could not have been an option," Ms Bradley said. "I was a case study for five or six med students [and] it was a stunning, lovely med student who asked 'Has anyone eliminated meningococcal?'" Meningococcal W has killed at least 10 people across Australia this year. As notifiable infectious disease, any diagnosis of meningococcal sees health authorities take immediate steps to contain it. The W strain, which has killed at least 10 Australians this year, is treated with deadly seriousness. That, along with associated meningitis and septicaemia, is what Ms Bradley had contracted. "Within eight minutes, I had the health department ringing my bedside," she said. "They asked for a detailed account of everyone I had been in contact with over the previous 12–24 days." Health Department officials contacted everyone: friends, family, work colleagues — even hostesses on a charter flight she had flown on and students in a lecture she had attended. They were told they had been exposed to meningococcal and to seek treatment immediately, but the location and Ms Bradley's identity as the source were kept under wraps. "It was absolutely humiliating … quite a few of my friends got a shock," she said. "The people I'd been in contact with who had children or who were pregnant, I worried about them more than I did myself." While the majority of people fully recover, even meningococcal survivors can be left permanently disfigured or disabled. "In that regard, I found out just how lucky I was … I met people who have lost limbs," Ms Bradley said. But survival, and recovery, brought unimaginable pain. "When the meninges burst, you can feel them," she said. "It's like someone has put their fingers behind your eyeballs and is peeling your skin off … pain I never would have thought humanly possible. "That process goes on for days, until your blood is no longer septic." Once she emerged from the worst stages of the infection, Ms Bradley was discharged and placed into home care. But returning to normal life was a much longer process; survivors are required to go through a rigorous process of medical checks and clearances. Certification from the Health Department is required before a survivor can fly or travel on public transport. But the hurdles were psychological as well as physical. "I suffered from nightmares for about a year, which deterred me from sleeping," Ms Bradley said. "I'm 30. You can't really explain to your employer that you can't come to work today because you're exhausted, because you couldn't sleep, because of nightmares." She credits the Amanda Young Foundation, founded by the family of an 18-year-old girl killed by meningococcal C in 1997, for providing considerable support. Ms Bradley's case is an increasingly familiar challenge for doctors, with 357 meningococcal cases reported across Australia this year. W strain infections have also jumped, rising from 17 in 2014 to 109 in 2016. In the Goldfields, Ms Bradley's case and four others deemed "genetically linked" prompted an emergency rollout of the W strain vaccine, followed by a statewide rollout of the ACWY vaccine for children aged 15-19. However, the combined vaccine is still not on the national vaccination program, and doctors have had to battle occasional ignorance and hostility from people swayed by anti-vaccination propaganda. "It makes me pretty upset," Ms Bradley said. "If anyone saw how aggressive it is and how much pain someone goes through, they wouldn't wish it on their worst enemy."